Three civil liberties groups have asked a U.S. appeals court to strike down a U.S. government request to obtain stored mobile-phone location tracking information without showing probable cause. The Electronic Frontier Foundation (EFF), the Center for Democracy and Technology (CDT) and the American Civil Liberties Union (ACLU) have filed a brief asking the U.S. 3rd Circuit Court of Appeals to reject the U.S. Department of Justice's request that courts give permission for it to obtain historical mobile-phone tracking information without a court-ordered warrant showing probable cause. 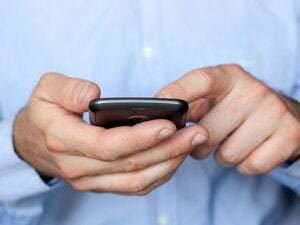 Several courts have ruled against the government obtaining real-time mobile-phone tracking information without a warrant, but this is the first case dealing with stored tracking information, said Jennifer Granick, EFF's civil liberties director. "The government argues that federal law requires judges to approve their applications for location information from cell phone companies -- even if the police don't have probable cause to obtain this sensitive information," Granick said. "Courts have the right under statute -- and the duty under the Constitution -- to demand that the government obtain a search warrant before seizing this private location data." Mobile phone providers store data about where customers make and receive calls, based on the cell towers the customers' phones used. Granick called the U.S. government's attempts to collect past mobile-phone tracking information "creepy." "They can go back in the past for as long as the cell phone companies keep records," she said. The DOJ appealed the February 2008 opinion of Magistrate Judge Lisa Pupo Lenihan of the U.S. District Court for the Western District of Pennsylvania. A five-judge panel in the district court affirmed Lenihan's decision in September, and the case is now before the 3rd Circuit. A DOJ spokeswoman didn't immediately comment on the Pennsylvania case and on the agency's need for warrantless mobile-phone records. The DOJ had asked the Pennsylvania court for a so-called D Order to obtain stored mobile phone records. Under a D Order, the government would have to show reasonable grounds that the mobile phone records were relevant to an ongoing investigation, instead of the more difficult standard of showing probably cause that a crime had been committed. The DOJ had argued that the Stored Communications Act required Lenihan to issue a D Order. The three groups' brief, filed Monday, said mandatory D Orders would "run headlong into serious constitutional questions affecting the rights of very cell phone user." The DOJ argued that mobile phone users voluntarily convey their location information to their carriers, therefore negating the need for a warrant, but the civil liberties groups disagreed. Mobile phone location tracking data "reveals information about the interior of spaces in which cell phone users possess a reasonable expectation of privacy," the groups said.